As we are just about to head back to school here in Australia it's time to start getting "Back To School" organised. 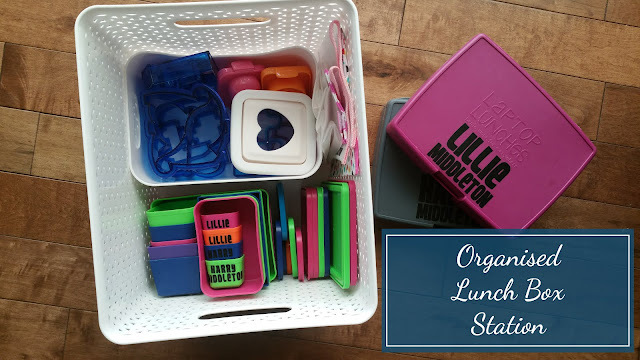 Today I'm going to show you how I organised my lunch boxes and accessories, but first I wanted to give a bit of a shout out about my lunch boxes. 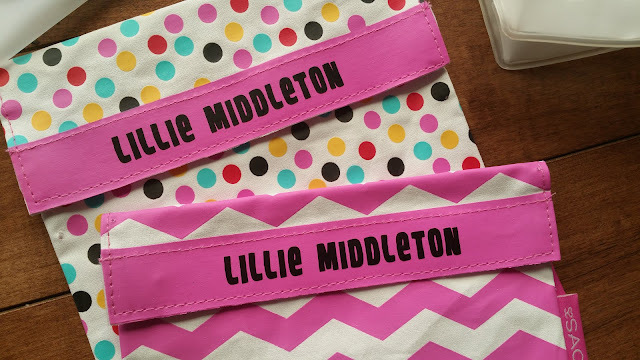 A few years ago I discovered Laptop Lunches or Bentology as they are known now and I completely fell in love. I searched high and low for something closer to home that would offer me the same sort of versatilely but I came up blank. 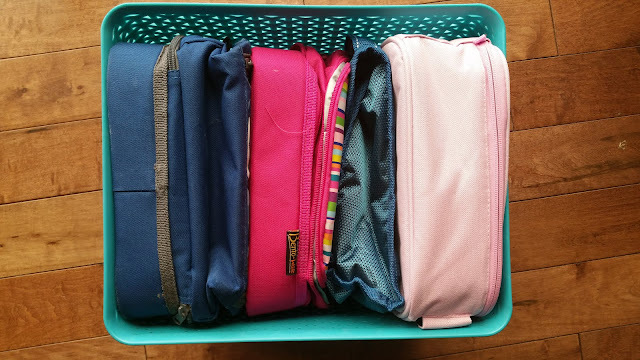 They were a slightly more expensive option for lunch boxes, especially when you add on the charges that it costs to send them to Australia, but I weighed up the cost and found them to be worthwhile. They are made very very durable plastic and both my kiddies have used them for the past two years without any broken pieces. That was the selling point for me. 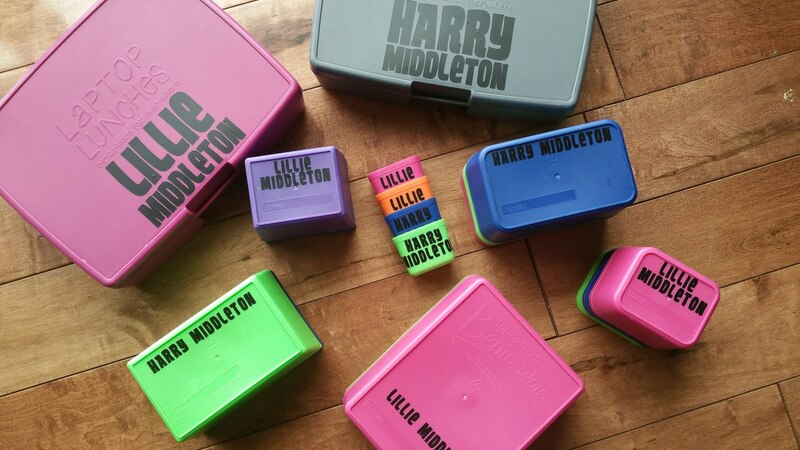 Our lunch boxes previously were having to be changed over every 3-6 months with broken hinges. My favourite part about these lunch boxes is that you can mix and match the containers to suit what you want to pack each day or to suit your child's specific likes. 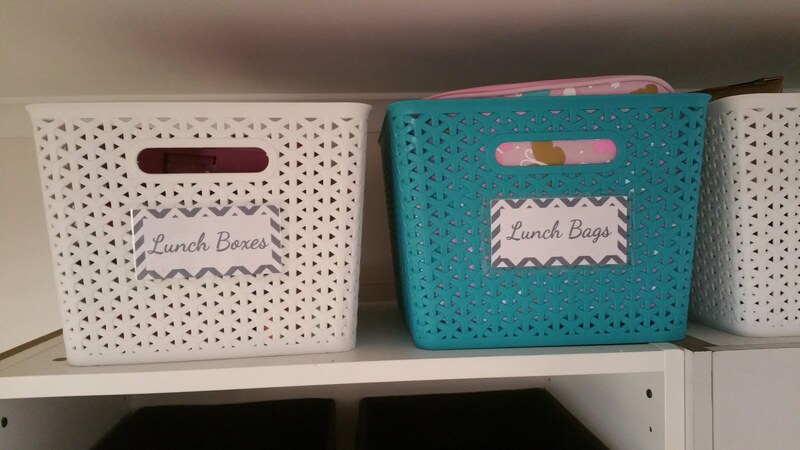 For example... My son like to have two sandwiches for lunch every day, so I use the extra large container for them, whereas my daughter is more than happy to have a a single sandwich and some salad, so I'm able to use two large containers for that. So now onto my lunch box haul. 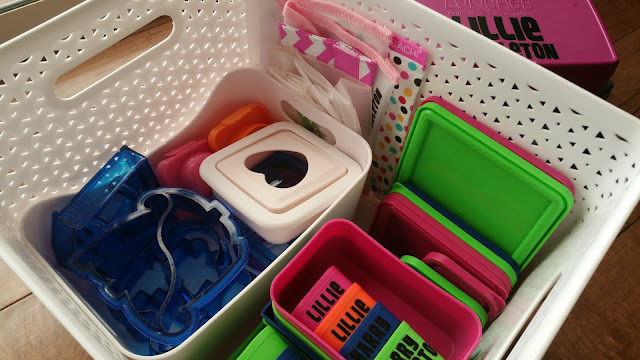 We have two Bento Kits and two Bentology Box Sets as well as various reusable zip and velcro snack bags some I found on Amazon , some from Kmart and some from Howards Storage World and a few insulated cooler bags that the lunch boxes fit into. Look at all those gorgeous labels!!! I confess that I have a little bit of a problem when it comes to labels, and especially vinyl labels. 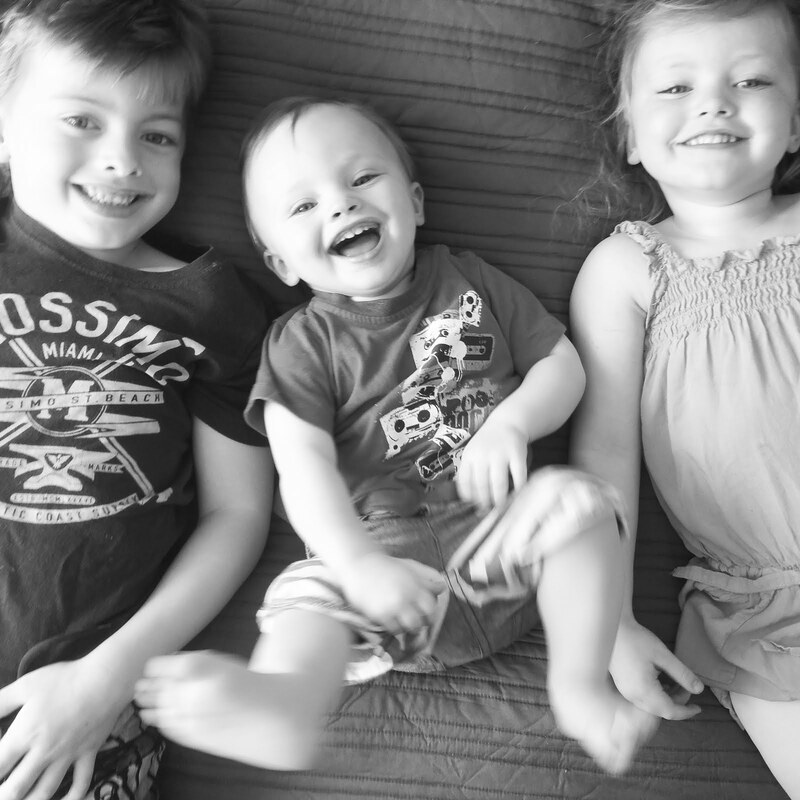 They just make everything look that much better. 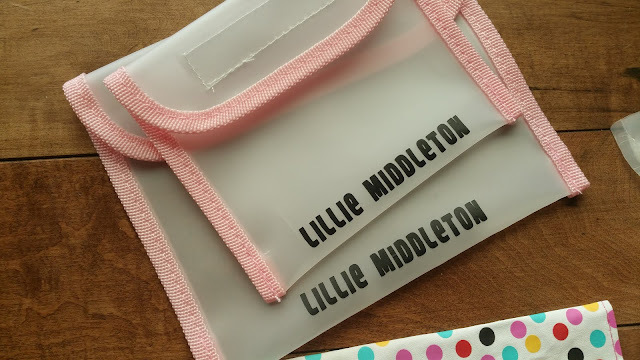 I made these on my trusty Silhouette Cameo. 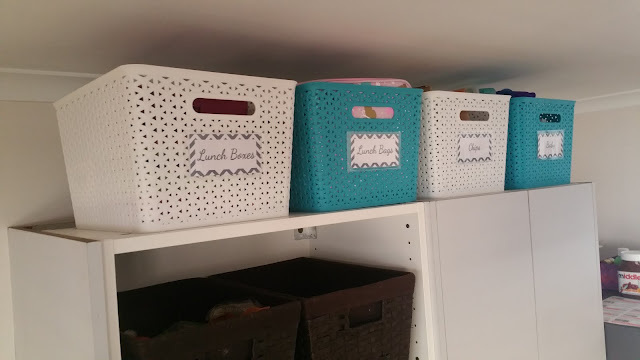 I found these amazing Rattan Style Storage Tubs in my local Kmart for $8 and I knew they would be perfect for this sort of storage. 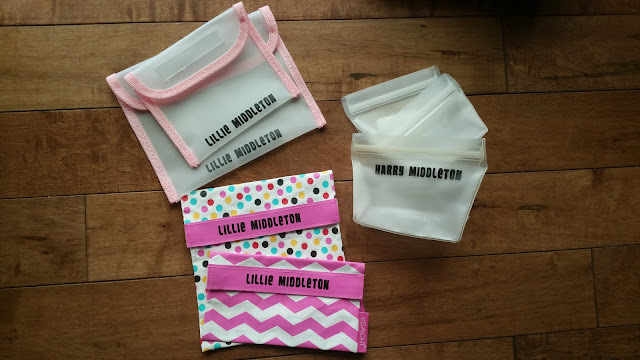 They are plastic, which means that I can easily wipe or wash them if necessary and they are big enough that they fit all my lunch box needs easily. A perfect little home for everything, and all quick and easy to find. 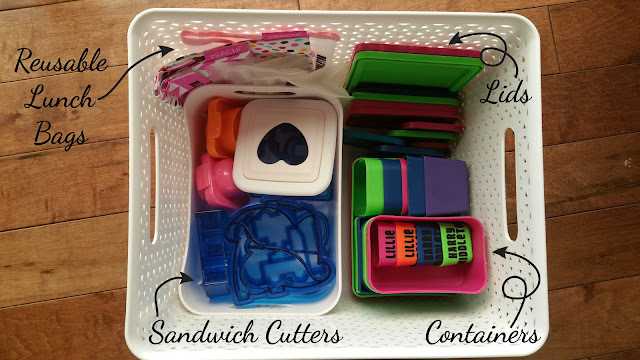 I was even able to add an extra little tray for all my sandwiches cutters and a few egg moulds. This make this station a one stop shop when preparing lunches each day. 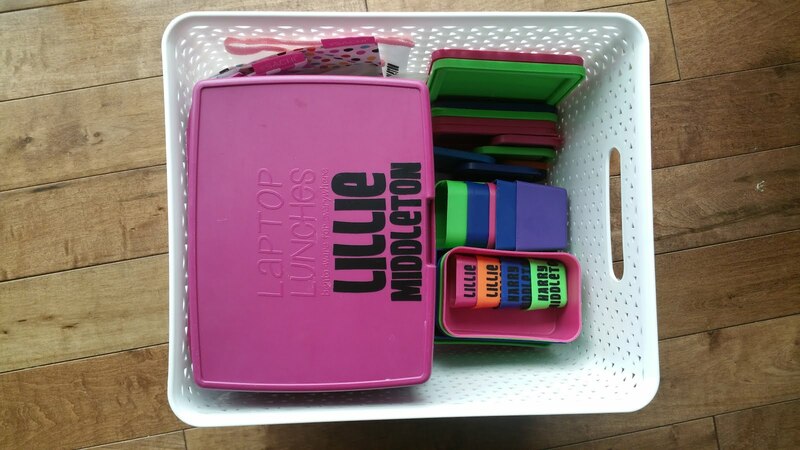 Once everything was neatly packed in the lunch boxes fit perfectly on the top. I bought a secondary tub for my insulated bags to nicely slot into.